(CNN) -- Saudi Arabia's crown prince was convalescing Saturday in Morocco where he arrived this week after surgery for an undisclosed illness in New York City, the state-run Saudi Press Agency said. Crown Prince Sultan, who is also the nation's deputy prime minister, completed "all medical tests and treatments in the aftermath of the medical surgery he has previously undergone," the news agency said, quoting a statement from the Royal Court. Sultan arrived in the Moroccan city of Agadir on Wednesday, the press agency said. Speculation about his health has been mounting since he arrived in New York in February. While Saudi officials maintain publicly that Sultan's health has improved, the appointment in late March of a second deputy prime minister has raised more questions about the extent of his illness. 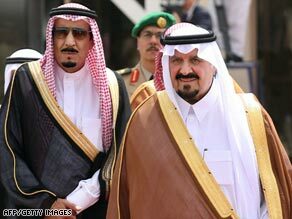 Last month, Saudi Arabia's King Abdullah issued a royal decree naming the interior minister, Prince Nayef -- the powerful brother of the crown prince and half-brother to the king -- to the post of second deputy prime minster. The appointment appears to mean Nayef is now the country's crown prince in waiting and second in line to be king. In recent weeks, local media have quoted Nayef as downplaying rumors that the crown prince may be seriously ill.
"I would like to assure you that the crown prince's health is very good," he told reporters in March, according to the English-language daily newspaper Arab News. "God willing, after the medical vacation he will return to the kingdom in full health."